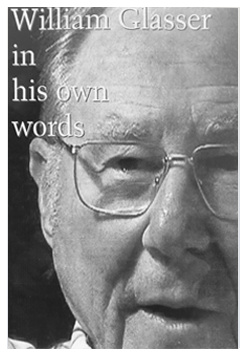 This gem of a book contains the Choice Theory psychology explanation of why needs are such an important part of satisfying human relationships. 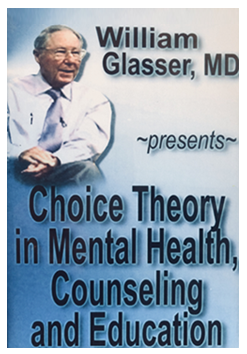 Dr. and Mrs. Glasser share their lives by telling the story of their courtship and marriage. You will find their descriptions of their personal needs profile and explanation of how needs profiling works. There is also a very clear description of how the relationship killer, external control, destroys partnerships. This book is the all purpose engagement gift and wedding present, as well as for friends who want that elusive “meaningful relationship”. After you read it, you will have had a very special introduction to finding compatible relationships and keeping them. 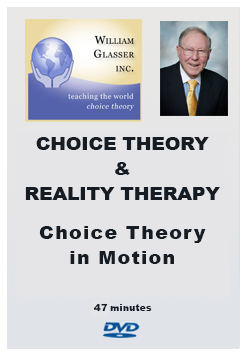 “The power of choice theory is that it helps us get along with other people, especially with the people close to us. In our experience, it is the only way to maintain a long-term, happy marriage. 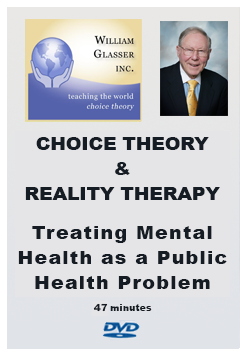 What we do when we practice choice theory when we have even an inkling of a problem is to think before we deal with each other. The first thing we think about is avoiding using the seven deadly habits, because they will separate us further and increase the problem. Next we make sure that we use one or more of the seven caring habits as we attempt to deal with our differences. 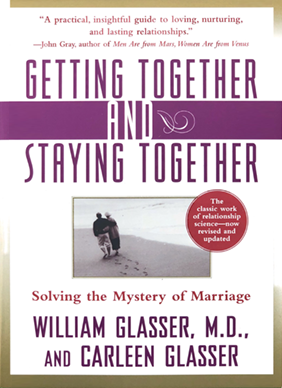 As simple as it seems, it is almost impossible to do unless you recognize how much harm you are doing to you marriage with the deadly habits.”— William Glasser, M.D.